Mr. Hendrick attended the University of Georgia, where he received his undergraduate degree (B.B.A. in Accounting) and law degree (J.D.). He was a member of the American Bar Association Moot Court team and served on the Georgia Moot Court Board while in law school. 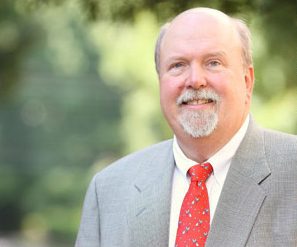 After law school, Mr. Hendrick worked as a senior tax accountant in the Atlanta office of Arthur Andersen & Company as a member of the family wealth planning team. Mr. Hendrick then practiced law in two large downtown law firms in Atlanta before moving to a small firm concentrating in estate and income tax planning, a predecessor firm of Hendrick, Rascoe, Zitron & Long. He has been a frequent author and lecturer on advanced estate planning issues. Mr. Hendrick has been admitted to practice law in Georgia for 29 years. He is also admitted to practice before the United States Tax Court. Mr. Hendrick currently serves on the Board of Directors of the Re/Max Regional Services Companies. He has previously served on the Board of Directors of Smoke Rise Field Club and The Lake Toxaway Community Association,. He is an active member of The Luther Hays Presbyterian Church. Mr. Hendrick serves as Trustee for a variety of trusts, many with active business interests. He also has served as Executor of several large estates. His legal experience includes not only all aspects of estate planning and family business structuring, but post-mortem planning and probate services as well.